You might not realize it, but if you’re a musician who releases music and plays shows, you’ve probably already invested thousands of dollars into your musicianship. Instruments, music lessons, and sound equipment are obvious culprits here, but things like the time spent devoted purely to learning an instrument or to writing music should be seen as significant financial investments because this is time you could’ve spent earning money or looking for jobs. Musicians should care about money because it takes money to be a musician. 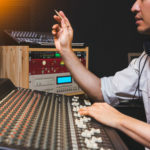 Writing an album isn’t work like litigating a case or constructing a building, but there’s a ton of difficult, tedious work involved in making and performing music. There’s a popular idea in our culture that the music played on streaming platforms, TV commercials, and dance club sound systems just appears out of nowhere. But the truth is that there’s an incredible amount of hard work involved in writing, recording, releasing, promoting, and performing all types of music. No one in their right mind would go into a restaurant, eat an amazing meal, and refuse to pay for it out of principal. Music takes equipment, special skills, and countless hours to shape and create––and that process takes money. The belief that money should be taken out of music discredits not only hard working musicians and songwriters but also an entire industry of people who pay the bills off of the idea that music is important and valuable. If money completely disappeared from the music industry, a hell of a lot less people would be making it. The notion that musicians or artists working in any medium have to either be completely for or against making money is immature and unrealistic. If you’ve worked hard over the years to become a competent musician and to make music that’s meaningful to you, you have every right to want to make a living that way. But while dogmatic views about money tainting music are problematic, so are ones on the opposite side of the spectrum, especially in a music industry transformed by music streaming. For example, artists who refuse to distribute their music to major music streaming platforms in hopes that people will start buying albums again soon are depriving themselves from huge opportunities to find new listeners. 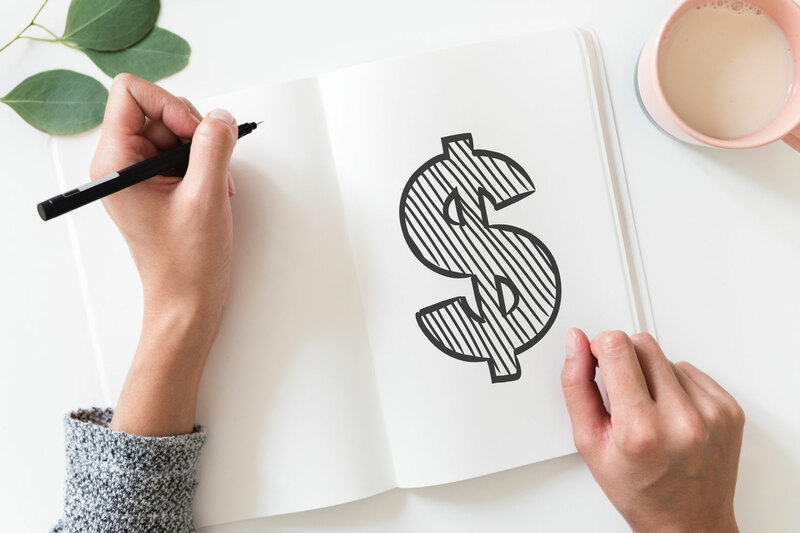 Like in any good song, a meaningful balance of ideas can help musicians figure out how to approach money in music in a healthy way. I thought it was a cool article until you got to the part about musicians bending over and holding their ankles for the streaming companies. I think these hard working musicians who eateem the value of their music should find more creative ways to actually get paid instead of seeing $0.00005 per stream arrive in their bank accounts after 90 days of whatever interest it may have acquired in the streamer’s pocket get stolen as well. There is Zero Balance in that scenario. I agree with 100% however, it is a good forum as a no name to get heard, then you can choose to take your music down once you get a following. Otherwise, it is very difficult to reach the masses without them, they do serve a purpose. BUT, they should pay more fairly. The advent of the Internet and digital music has allowed anyone to steal our music as they wish. The advent of Spotify, Pandora, Apple music, etc has allowed content providers to insult us endlessly with the lowest payment per play possible,our impossibly prehistoric Congress has ignored the need for copyright law enforcement and change, and media “experts” like the writer of this article have accepted the general consensus that music should be free! Ah, to be a “professional” musician……..
there are a lot of changes being made and a lot of work being done to raise awareness and reform our outdated copyright laws. Just recently a law was passed to increase the streaming payout by 45%. biggest increase in history. A lot of work to be done still but we are heading in the right direction. I am a district advocate in my area as a recording academy member. Musicians have to start fighting the good fight to make some changes. together we can make a difference. I solo as a local artist and I am always promoting local live music. I am always trying to get the price up where I work and I let others know where the scale plus and minus should be. Musicians who play for nothing or next to nothing are bringing the scale down every time they do a gig. The problem is the places that do have live music for cover or original bands pay very low. I play in Laughlin, which is good because the Casinos when you play even just the lounges, do give you free rooms/food, but still after paying everyone….6 guys in the band..the money turns out to be just a few dollars above minimum wage…Las Vegas is even worse…the Casinos will not give a Lounge band any rooms so you have to Airbnb to find a house….3 rooms with beds…for two nights…costs about $350-400. Yikes! Great comment. HAVE to get paid, or you are making things worse for every band/performer in your community. Sometimes you have to fire your customers. I am in a five-member band and also do solo acoustic shows. One location decided to drop all of its live music, then a few weeks later invited several of their good bands (including ours) back to play for half of what we were previously making for a night. We declined. I agree with the statement above, it was good until you got to the streaming comment. Even if you sell only 10 downloads at 5 dollars a piece it would take about 1000 people to stream your album (8 tracks) to become equivalent pay (assuming you don’t have anyone else to pay). I applaud those not using these platforms when they don’t want to. They can reach fans in different ways, and honestly not a lot of music is discovered accidentally on these platforms anyways. However, on the good side of the article, it is unfortunate when musicians devalue their craft and time. Particuarly pay to play kind of scenarios or playing for free (or even just playing for the door at most establisments). Venues should have some responsibility in providing an audience. Society also kind of stinks in all of this, because we constantly devalue art. We spend endless money on military, but defund art endowments. I mean, what are we even fighting for and protecting when we devalue the arts? Those are the things worth protecting. The second you begin wanting money for music is the second you’ve sold it to the market. I do not see art and market co-existing other than in capitalism where everything has to be monetized or be deemed worthless. Art is to express emotions, and well… if your emotions are tightly intertwined with your need for money, then you got issues. Find a job and invest in yourself, if you expect others to invest in you then your so called art is no longer yours and I’d even hesitate to call it art, at that point it has turned into a commodity. When live streaming services are not paying the artist, then the artist has to go to venues to make their money. Buuuut then the venues don’t want to pay you either. Really, just being a good enough musician to earn money is the real challenge… amazing how some ghastly “musicians” can make so much money and also because money is where it’s at for them! It’s all a rat race one way or the other and maintaining musical “purity” is a huge challenge… but we all need that dirty $ yah… just be realistic and be thankful for the money you may earn making music. The true offering goes way beyond money… as it relates to the soul. no? It was a good article until you got to the streaming part. Musicians shouldn’t accept the p… well, I started to say pennies, but it’s a fraction of a penny– of what the big corporations are tossing us. Musicians should unite to fight Google, Spotify and the big corporations that comprise the new music industry. We should support artist-friendly streaming companies like the Standing O Project. If we don’t stand up for our rights, who will? Being since the late 80’s in the Music Industry, I have experienced the evolution from performing with a High school Band to eventually becoming an International DJ/Producer/Composer/Remixer/Performer/Artist and eventually also a Founder, CEO & Co-owner of a Label. And yes, it is hard work, and with plenty of expenses, sleepless Nights and so on… I have seen when the Vinyl, then the Cassette, CD’s became obsolete…Over Night the Digital Files came onto the Music Industry and it was a whole new animal to deal with, how to protect, promote and eventually find an Aggregator, that would distribute the music and so on. Back in 2007 when I relaunched my label to a Digital Label, I already knew, that at one point the Streaming would become something, that would eventually even replace the Downloads, and if some of you didn’t know check out how iTunes will fade it’s download site by 2019 and only have the Apple music and streaming… I’m I happy with it, surely not, because the crumbs that we Indie Label receive is a shame, especially knowing the horrendous salaries those executives from Spotify, Apple Music and YouTube receive, as well that the 3 Major Players such as Universal, Sony, and Warner have taken a chunk out of most Streaming Sites by investing in them so they receive their share of the Top, and we Indies wrangle for the rest…I believe that we shall find a way to generate more from the streaming Platform, also the way the Royalty Associations such as ASCAP, BMI, SESAC and others could find a better way to support us and enforce a more fair share on the Streaming revenue. Now some might not know, but did you realize, the downloads on AMAZON, and also Google Play, are ridiculously low priced, especially if some are prime subscriber on AMAZON, then a download goes down to about 45 cents…now if the Aggregator takes a 30% out of it then one finds themselves with 31.5 cents…on a Track that you’ve worked at least 4 hours to maybe 3 Days or even more if you had live musicians and recorded each partition and so on…so yep the Digital age brings some great stuff, but our Music industry suffers especially if you are in the Indie world, and you have to relay on Live Gigs, Merchandising, and other smart income sources to overcome the expenses… Personally I love what I’m doing, and Music is my way to positively impact the masses, it is my medium to communicate. So in that sense, it is important to realize we live in a Society where everything, or better almost everything cost something, therefor we have to understand, that making it for free, you can do so if this is your hobby, and as way to release your stress, but if you chose to make a living from it, then you better realize, more you make it for free, the more those that make a way of living will suffer, because how can you imagine a venue owner to pay anything, if he/she gets acts for free??? So before you say money shouldn’t be part of music, ask yourself is this a Hobby of yours and you have a ‘Day Job” so you can have this attitude, or are you a true professional that decided to work as a Musician, Producer, Song Writer, Singer and so far. To go into music as your sole source of income (making music) is a recipe for disaster. Having a day job that pays your bills while you work on your music career separately is smart. Just cause one does not have their music as their sole source of income does not make it a hobby, be careful with that term. There a difference between hobby and passion. Music, if it’s in you, is a passion not a hobby whether you make money from it or not. Nothing wrong with putting your music on siter that people can listen to for free. For, that is why we make music in first place, for ourselves and for others to listen, relate, and etc. If your intentions are purely to make money off your music then yes, putting your songs where people can access it for free would not be smart. But that begs the question, why would people pay for a song they never heard before or by a relatively unknown artist? Know your why for why you want to be involved with music and that will alleviate many of the stresses some go through (that is for general). Been making a meager living as a live performer for 38 years. I invest my work with value with the years of struggle and the inherent pleasure in a job well done. Will leave the philosophical and commercial questions to those more qualified. I’ll be singing and playing guitar…. Great article! I am a musician in Nashville where far too many musicians play for next to nothing because they are afraid to say “no” and don’t realize how much it hurts everyone else in the biz including themselves. Very well said. What’s important to remember about the music streaming aspect of this conversation is how important to our economic development, the recentralization of the music industry’s distribution chain is to enable solid monetization once again. Sure, build your brands and offer sales of your content from your site (or the store of your choice like bandcamp.com, but a critical key is to regain control of the distribution chain. Regarding live playing, we need to be unified and disciplined. We need to organize. I’m ready for that. I entertain at senior and independent homes . sixty mi. or more at a time. What is the normal fee ? Like most people who have commented above, I thought this was a reasonable article until it hit the streaming point? Here’s a slightly oblique view from the sidelines….. I am 48 years old (yes, that old!) and play in a rock band (Inside The Lion) in the UK. We are made up a 5 guys of similar age – all with jobs and lives outside of music, who have invested many thousands (or possibly tens of thousands) of pounds in our gear. For us, creating and playing music is a release and a privilege, and as such we are happy just to get the opportunity to get gigs as there are generally more bands looking for gig spots than gigs available. So, whilst we could (and probably should) refuse to play for “free” – we would rather play than not. Thus, it probably perpetuates the club / bar owners not wanting to pay bands to play syndrome, and for that I am genuinely sorry to anyone who may lose out on money as a result. However, to talk about the streaming issue – I don’t use streaming companies (except ReverbNation) and wouldn’t expect to live a life of luxury (or even peasantry) from music sales. Not out of a moral sense of injustice – simply because who would want to find and listen to our music? Whilst that may sound harsh – it is part of the problem with “the music industry”. People who are starting out or are “unknown” are unlikely to benefit from streaming because they wouldn’t make any money irrespective of the value per stream because they would get the quantity of streams anyway. That’s not necessarily a condemnation of their music – just an issue of exposure. Those who are fully fledged popular artists may make some money because of the volume of streams. Then there’s those in the middle – can’t be easy or good for them feeling that they are being ripped off by the middle man? So, what is needed is a company willing to develop an online model for streaming which is willing to make very little money – or can create a successful monetisation model for the channel that allows musicians to get paid a fair value for each play that caters for small / up and coming bands as well as well established ones? Of course, that is probably not very easy or everyone would do it? We do care about money. So much so that most of us have to treat music as an expensive hobby that we support with “A real job.” I began my life of music as a member of the American Federation of Musicians member making the circuit in LA. I was making a living playing music. But I remember a discussion in 1976 we had about what was coming. Even then we knew. Before recording, if you wanted to hear music you had to hire a musician. There was no other way. It took talent, real talent because you weren’t able to perfect a track using editing tools. You weren’t able to produce a persona based on a talent that you couldn’t do live. You had to be able to perform. There was no turning on an FM radio and having to choose between hundreds of stations the delight of hearing a flute being played out doors by a practicing musician is gone. The money in music is still there, it is just not shared with those who actually make the music, it goes to attorneys, executives and the talent is given away by those who love being a musician so much that they are willing to hand it out for free. I followed that dream for 4 decades now. It’s gone, like a broken mirror that could never be put back together again. The money in music is in selling the musician a product that they will pay for by working a regular job. Like a premium membership at Reverb Nation! By keeping you buying more equipment chasing after a tone that once captured your imagination when you were young. The music industry is consuming it’s own right now like a world that once had work houses and debtors prisons. It is a cycle that may never get corrected, endless resources of songs at your fingertips waiting to be critiqued and rejected. I believe the age of the musician making a living at music is gone forever. The music industry is a reflection of the corpratized country. The people that actually do the work get screwed, the 1% at the top get richer….spend their days playing golf or sunning on their yachts, thinking of another way to squeeze the surf/peasants….history repeats itself, the troops ride down from the castle, ransack the village and farms….tax’s they say….the feast is waiting back at the castle, the village goes hungry, it’s been a good day, human nature at work, greed and control. The French had had enough, they united and stormed the Bastille. Henry Ford had to finally compromise because the workers united into a union. The only way to make change is to unite in solidarity, hopefully peacefully, because the people at the top are aristocrats, they don’t care about the underdog, this is a winner take all game and they aren’t going to change unless forced to. Bands or performers that play for free are selling us all out…try finding a paying gig an Manhattan, LA or Nashville! I was making more money playing back in the 70’s. This malaise has affected every industry not just the music industry….it’s time to unite….and say “No, I’ve had enough, we’re not taking it anymore, you cut is disproportional to the amount of work you produce!”. That’s how I see it. One should always be compensated for their labor , whether monetary or financial . I started playing back in 1972 , the coffee houses in N.Y. The first gig I got was $100. for a 45 minute set . It seems some one set the price level way back then and it’s still the same. When I was in Nashville a few years back their was a major label interested in some of my songs ,only they wanted me to give them to a known artiest and say she wrote them . For my sweat and blood they would throw this dog a bone . Well this dog don’t chew bones I passed on the offer. I love doing music , and I don’t mind playing for free if it’s for a worthy cause . I play for free for charitable events , like fund raisers for our service men who come home with PTSD , or children ‘s hospitals , events like that I don’t mind playing free. But when it comes to dealing with club owners and the record boys , least we forget it’s a business , and if where in this business and the powers that be are making money off the sweat and blood of an artiest that artiest should be compensated . Just some rambling observations: I agree musicians should charge a fair price for their services. That being said, there are times when choosing to do an “audition” (an hour or so of playing for free for the “exposure”) is preferable to not playing at all. 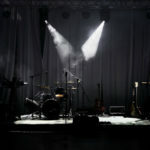 Established musicians understandably complain about other musicians dragging down the wage scale, but it should be considered that venue owners are often reluctant to hire new and unfamiliar performers. Marketing one’s music takes a lot of effort, and it can be mundane and boring compared to the fun and excitement of actually performing. It can be very tempting to just play and not be bothered with the leg working, networking, and coordinating necessary to set up paying gigs. Additionally, some musicians are non-drinkers, which can make it awkward finding gigs, many of which are in bars and lounges. Pay-to-play is alive and well (been there, done that). There are some excellent musicians doing the perpetual open mic circuit, who will likely never find much in the way of steady gigs, as the venue owners realize they can get their music for free, and charge them for food/drinks. What a deal! If it wasn’t for love of the music, it would make more sense to strive to be a venue owner rather than a musician. I have watched fellow musicians in my neck of the woods grab tips only gigs, because they don’t care about the money. I am not a kid, my music appeals to grown ups, and I will play a gig if it pays. I guess that makes me “unusual,” but seriously, I approach it as a part time business, and without it my income would be quite low. So, of necessity I play wherever I find a need, across the spectrum from restaurants and bars, to cafes, farmers’ markets, and senior residences. The seniors are younger than ever, and their musical tastes reflect the 50’s, 60’s and 70’s, now, so I have no problem reaching out to them. Not a lot of future in Senior residences, but the gigs are steady, and they get you through the down months! My outlook is every gig is like leaving a calling card, as you never know who will be listening and where they might take you. Giving the best performance you can, every time, is the only way to be a gigging musician. But make sure you get paid! To throw a little more pepper in the pot, here’s my prediction for the future of live-streaming shows. An act will perform a live-streamed performance. Venues ranging from large nightclubs to backyard barbeques will pay one time and/or subscription fees. The act will be streamed in VR, AR and or holograph to their venue. Replays will be broken up into individual songs and sold for individual and small group viewing, streamed or purchased and added to their digital libraries. Sounds smart, but reality is somewhat different these days. There is no way to protect your hard work from the online pirates, as well as competition is too high; thanks to the internet and related tools. In my humble view, having had played music for money for almost a decade in the past, the only reliable ways to earn as a musician is giving lessons, live performances, and writing copyright protected, short pieces for YouTube, Facebook, other marketing platforms. When you are as good as 1% of what J.S. Bach is, then you probably write for Hollywood likes, however, I address the majority of us, mostly unknown exactly because of writing and singing for free.